Update: 1/5/2009 TICKETS SOLD OUT. With the weather changing in both CA and MI, it is that time of year again! That’s right! It’s Red Wings vs. Sharks season. The MSU Alumni Association will be teaming up again with the U of M Alumni Association to present the Detroit Red Wings taking on the SJ Sharks at the Shark Tank. Puck drops at 7:30 p.m. 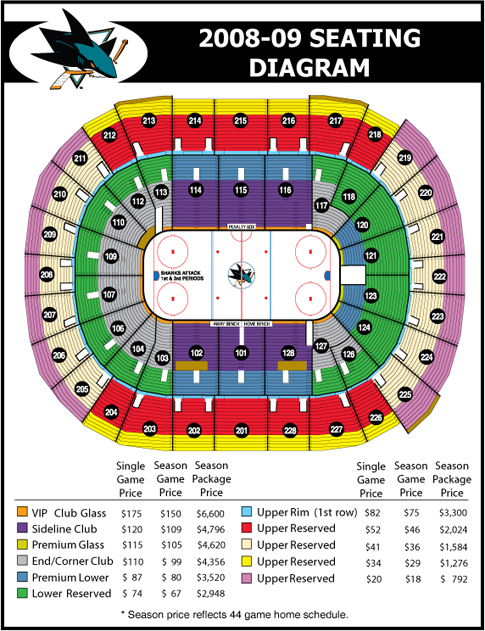 The tickets are $40 each, generally located in sections 221 to 227. Based on the attendance in previous years, and our ongoing interest in this game, we were able to reserve over 250 tickets for sale between the 2 clubs. This is always a sold out game so this is a great deal, hope you can join your fellow alumni for this game! There will also be a pre-game event, which will be detailed further as the game date approaches. Only those that send in funds will get tickets, we can’t hold them for you ahead of those that pay promptly. You will collect your tickets at the WILL CALL window at the Shark Tank, to save the club on shipping costs, and the associated work, we will not be mailing tickets to your home. Any questions, send us an email or post a comment.